Lime Ears are a bit like Noble in that sensitivity and impedance are not specified on any technical documentation so we had to do a bit of trial and error to get a guesstimate on how sensitive the Model X actually is. 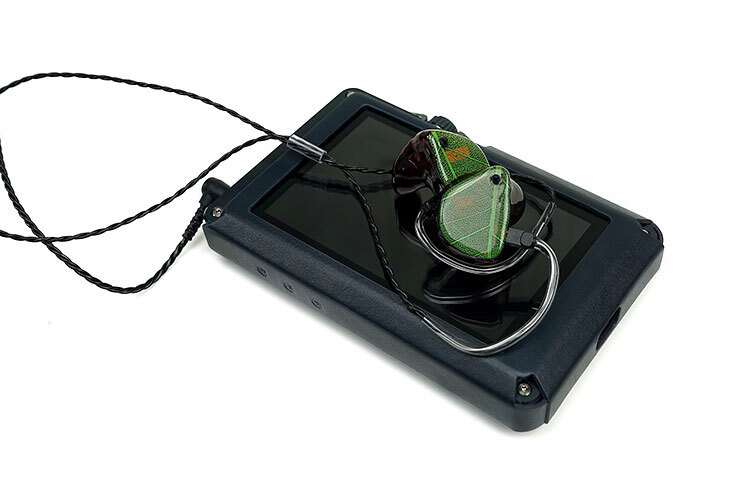 We selected the FiiO X7 with the AM3a using the single-ended output which will give us a nominal output impedance of around 1 ohm and 150-200mW of power depending on the impedance of the IEM in question. Testing was done on low gain with replay gain using FLAC 16BIT/44.1k files on FiiO Pure Player. Based on our testing it does seem the Model X is efficient enough to be driven handily from the FiiO X7ii in low gain mode but it is not as efficient as the CA 115dB 5-BA Andromeda and slightly less efficient than the FIBAE 1 at 109dB. It is marginally more efficient than the single BA 24 ohms 102dB YK1 from Aya Audio and requires less juice than the 50-ohms 104dB M-Fidelity SA-43. I do not think this is a 50-ohms creation though. In today’s market that would be fairly unusual. My gut instinct from my listening tests is around an 18-25 ohms impedance value with an approximate 104-109dB sensitivity rating. Of course, this is a fairly crude test and some IEMs like the 8 ohms, 105dB IT03 have far less sensitivity than you might think. The Model X is all BA and sometimes the dynamic driver aspect of hybrids pulls down the efficiency by some margin in comparison. What you need to know is that the Model X will drive off a smartphone such as the LG G6 and Axon 7 and pretty most DAPs without any volume or driving issues. The Model X is also an excellent performer in terms of noise control. Perhaps another indication of its medium efficiency levels but it is not prone to the same level of background hiss and noise as some sensitive IEMs can pick up. Amps such as the ALO Audio V5 and the Class A output of the Lear FSM-02 V2 where much quieter than the 109dB rated Custom Art FIBAE 1 which tended to show up more noise when paired. You can also get a bit more gain control with the Model X compared to the likes of the Andromeda with stronger amps such as the FiiO A5 and Chord’s Mojo. Not by much on the Mojo mind you with both the FIBAE 1 and the Model X almost identical with translucent red volume level. The Model X has some modest scaling capabilities in the sense pairing it with a portable amp will not hugely change the performance over a quality DAP. Power is not a necessary requirement though tonal tweaks will occur. The V5 and the Chord Mojo will sound a little smoother than the X7ii which has a bit more bite and sparkle in its upper mids and treble over those two. The V5 opens up the mids a little more with a sweeter vocal delivery particularly with auto-tuned high-pitched voicing. It is pretty much the same case with the Lear’s Class A output on the FSM-02 V2 which adds a little richness to the vocals over the X7ii. The X7ii AM3a is a bit more dynamic and tighter sounding than the V5 and the Lear’s Class A, particularly with the switch up bass boost. The two portable amps are richer in sound and work much better with the switch down reference sound. I actually have a very slight preference for the Oppo HS-2SE paired with the X7ii over the X7ii with the AM3a when paired with the Model X. The HA-2SE treble didn’t sound quite as ‘pinched’ as the X7ii and generally sounded a little a little more balanced when using the Model X switch up. 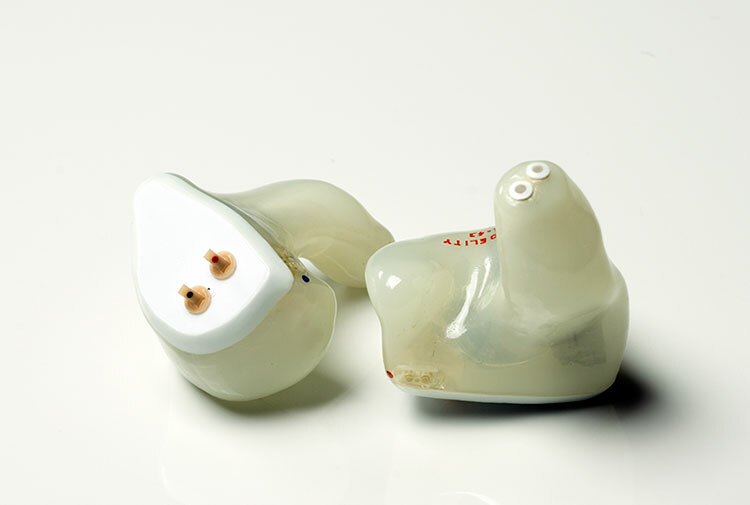 The SA-43 is a quad BA custom IEM from Norwegians specialists M-Fidelity. It is rated at 50-ohms and 104dB and like the Model X has a switch function that can alter the frequency bias. Unlike the Model X, the SA-43 has 2 switches as opposed to one. You can have up to 3 different responses including mid presence boosting, bass boosting, and both boosted at the same time. The Model X has a slightly different approach with 2 options. A bass boost option that lifts a few areas in line with FML but focuses primarily on everything below 800Hz and a flatter more reference like sound with the bass boost off. Both have roughly similar noise control and gain requirements on DAPs and amps despite what I believe to be the Model X’s lower impedance. The X will sound more optimal on Smartphones and weaker sources. Tonally this is a mixed bag given there are multiple signatures at play here, however, we can start with the bass on switch with the SA-43 and the mid presence off switch. Compared to the Model X no competition here. The SA-43 shelves down the mids and treble too much for my liking making everything sound too veiled and recessed in favor of a low end that becomes very warm but still very polite. The Model X retains mids and top end clarity much better with its switch up bass enhanced position. Instead of veiled it is euphoric and fun sounding and with way more headroom and sparkle. With both mids presence and bass boost on you get a much cleaner fuller sound from the SA-43 but it is not as spacious sounding as the Model X switch up though richer sounding than switch down. Mids on the SA-43 are a little more prominent than the Model X with a more forward vocal presence though it doesn’t have the depth and power of Model X’s vented bass driver low-end. Treble on the Sa-43 is a little more muted also compared to the better headroom and energy of the Model X. The lower treble on the Model X is just a little more forward sounding than the SA-43’s top-end. With all switches off on the SA-43 and switch down on the Model X both are in what I would call their flat reference mode. Side by side the SA-43 has a little more warmth and body than the Model X switch down though its top-end is roll-off a bit more so the focus is more on a warm and smooth mid-range and a slightly forward vocal presence. The Model X delivers a cleaner sound but more top end snap and sparkle and a more spacious mid-range performance. However, it is has a leaner cooler timbre than the SA-43 with a brighter more energetic upper mids and lower treble. Vocals have a bit more focus and clarity and instrumental separation and imaging are much better for me than the SA-43’s more intimate staging. 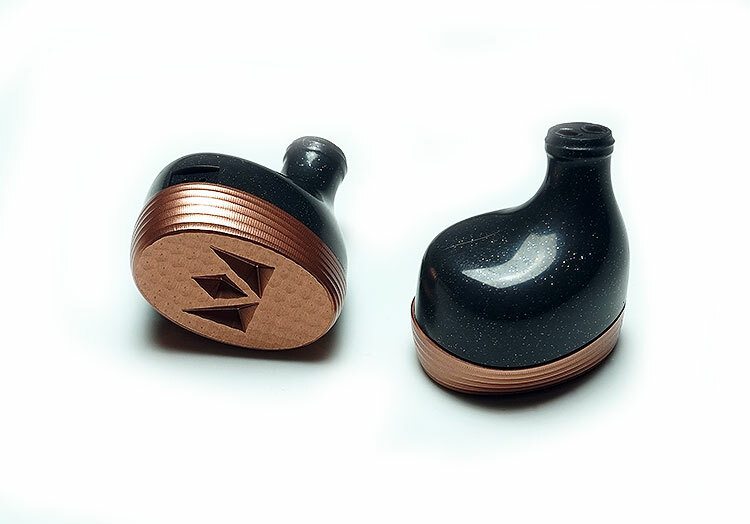 The Savanna is a quad BA universal IEM with an approximate 30-ohms impedance and around 110dB upwards of sensitivity rating. It plays roughly at the same volume levels as the Model X on most amping signals with similar levels of noise control. Being a universal it will be somewhat tip dependent and its seal will not be as rock solid as the Model X custom design. Tonally the Savanna sits somewhere between the reference switch down and bass boosted switch up of the Model X. The Savanna is a reasonably balanced reference type sound with small mid-bass elevation for additional warmth and relatively neutral to natural sound. The top-end on the Savanna was tweaked from the original Classic 4 so it sounds a little more rounded and less edgy. Compared to the Model X in reference switch down the Savanna is a touch more weighted sounding with more note body and a slightly smoother upper mids and treble delivery. Staging wise they are quite similar with average depth though the X has slightly superior headroom. With switch down the Model X’s V-shaped tilt delivers superior depth with a harder hitting bass and more top end extension. Suddenly this becomes a much engaging and immediate experience than the Savanna more neutral positioning. The A6 is a 6-BA custom monitor rated at 22 ohms and 115dB. It is slightly more efficient than the Model X requiring a little less volume juice but also prone to higher noise floors and background hiss. It also comes with a unique APEX module system which can change its sound signature as well as avoid long-term hearing damage. Something I am greatly in favor of. The M15 module is more open sounding and would sit closer to the reference sound of the Model X. The M20 isolates a bit more and would be a better comparison with the model X switch up. One thing to note with the A6 is the cable. It sounds poor with the stock cable with an overly veiled presentation lacking in dynamics and air. Switching to something like a Whiplash silver Litz or silver Thor II cable will do open the sound right up. The A6, much like the Savanna, sits somewhere in-between the switches on the Model X. It is a little more neutral sounding than the Model X ‘switch up’ but it does have more note body, a little more bass presence and a more forward and engaging mid-range than ‘switch down’. With ‘switch up’ the Model X gains a substantial low-end presence over the A6 with a fuller sounding impactful bass response and more forward and fuller sounding vocal presence. The A6 mids, particularly instrumental separation, and clarity has the edge over ‘switch up’ which tends to gloss over that a bit more in favor of that planted low-end. Instrumental timbre on the Model X on ‘switch up’ is a little richer and warmer sounding. Treble on the Model x ‘switch down’ is more energetic and forward sounding than the A6 but it lacks a little bit of body and slightly harder sounding for percussive passages. The A6 you could accuse of just being a little laid back and certainly with the stock cable its completely lacking in air. Better cables will give you a bit more sparkle and air and a more natural sound. With ‘switch down’ its pretty much a similar scenario only you are more aware of it due to the more linear bass response. I have noticed this year more and more IEM companies are moving away from the driver count wars and delving into more unique technologies to deliver their desired presentation. 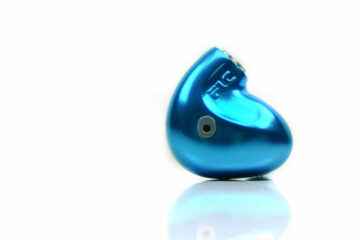 Be it, Tia, TAEC or PAR and VariBore there is something that makes a monkey out of our typical expectations of what an IEM might sound like with a certain amount of drivers. The Lime Ears Model X is no exception to this rule. Whilst I have heard plenty of switch implementations before this is probably one of the best bass tunings on a switch I have heard thus far. Chiefly because it doesn’t drown out the rest of the range or leave it a bit woolly sounding. Other companies have tended to be a bit subtle with bass boosting to avoid this. Not so with the Model X, its big, bombastic, and spacious sounding. The reference switch down tuning is not half bad either. Its flatter, more neutral sounding with excellent clarity though it can lack a little treble body which is not so obvious in the switch up mode. You can pick either depending on your mood with my preference for switch down on most lighter numbers then switch up for rock and EDM. 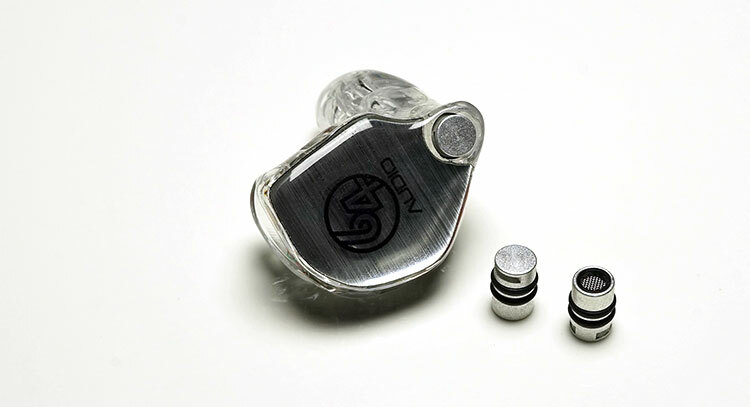 Throw in a super fit, custom design and excellent isolation, throw out the stock cable and upgrade to something silver and you have a very competitive mid-range CIEM indeed.